After writing the piece reflecting on my early odd jacket purchases (namely that a navy one wasn’t one of them), I thought maybe sharing some inspiration for navy jackets would be appropriate. For this post, I actually checked when I bought this jacket – it was in December 2016. Just over a year ago. 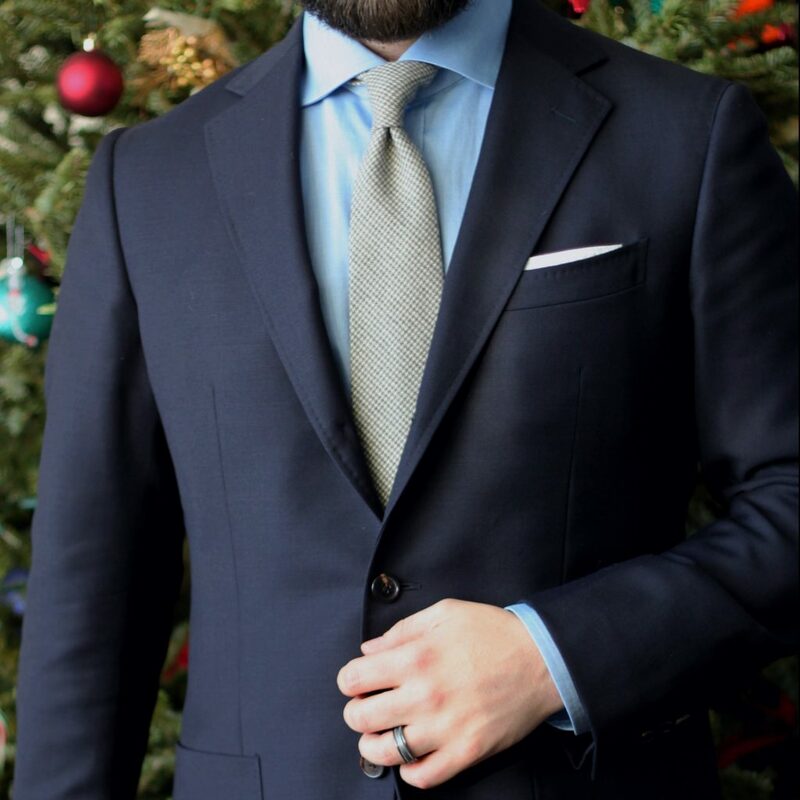 I first purchased a Jack Victor unlined navy blazer earlier in 2016, but ended up selling once I lost a bunch of weight and it just wasn’t worth altering. My initial journey down this menswear rabbit hole began in late 2014, so it took me the better part of two years to buy what is arguably the most staple-y of staple pieces in a man’s closet. 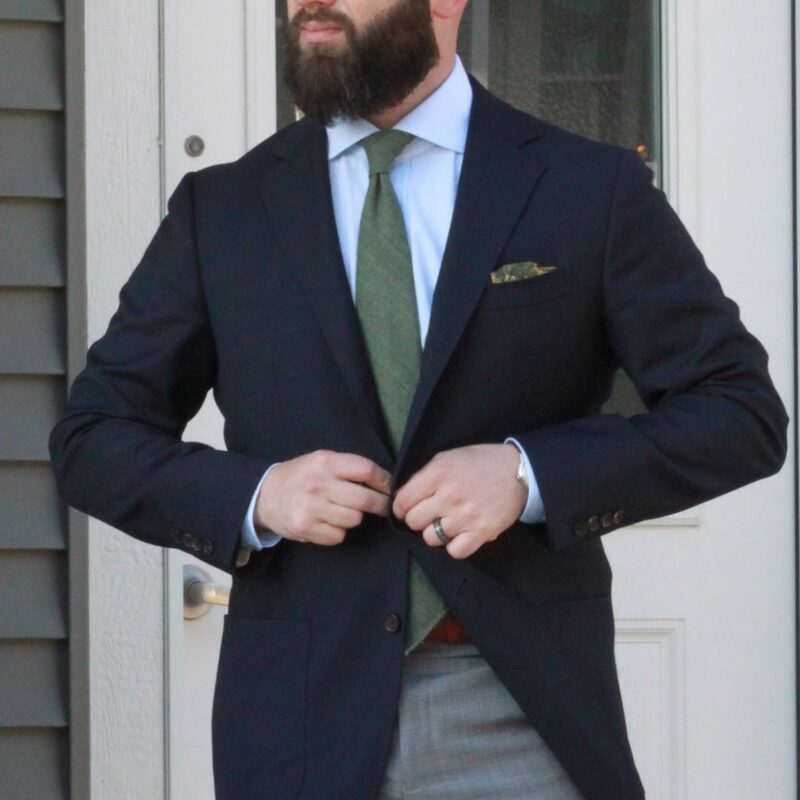 For my first new purchase of a navy jacket, I selected a hopsack from Huddersfield in a 3 roll 2 configuration, with patch pockets, minimal shoulder padding and 1/4 lining made up by Spier & Mackay. Having textured solids, especially in versatile navy hopsack presents a lot of opportunity to safely play with colours and patterns. For instance, I like the way the jacket pairs with the dark brown checked trousers featured in a couple of the photos. Of course, the light grey trouser is a classic combination often referred to as “the uniform” or “security guard” look. I think the burgundy flannels pair well, though I wasn’t 100% happy with the low contrast shirt/tie in that context. Other great options would be grey checked trousers, lighter beiges, dark greys. 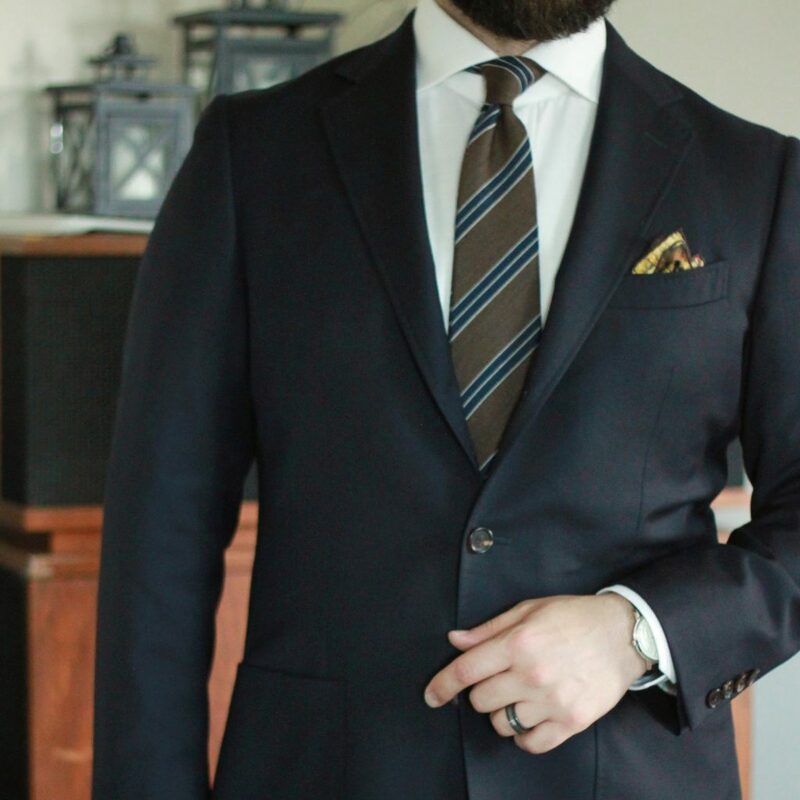 Was a navy sport coat one of your first purchases? How do you wear it? Let me know. 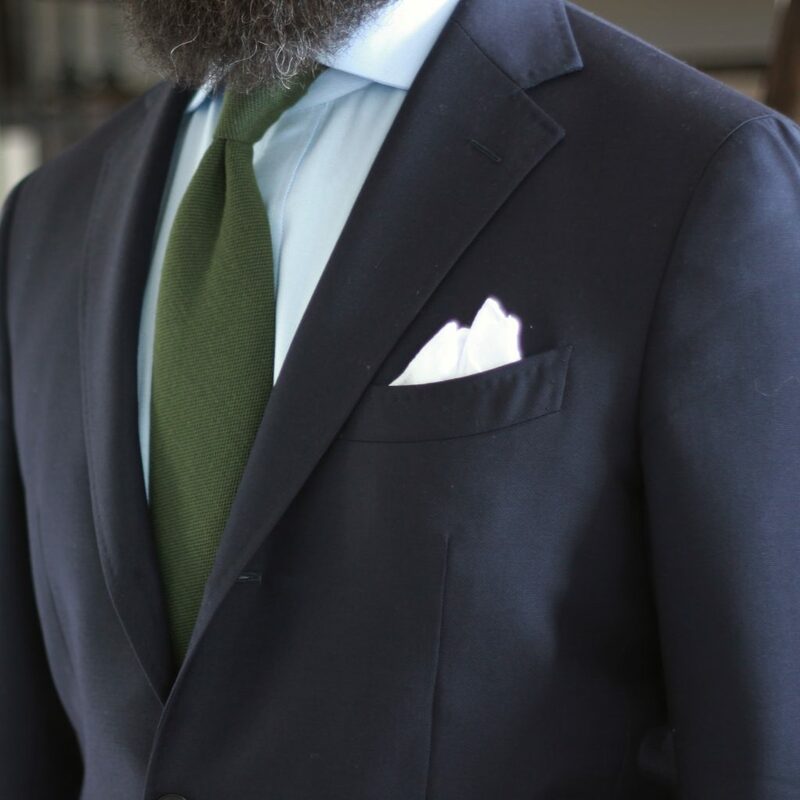 A navy sports coat / jacket has been on my to-do list for a long time! Right now I am making do with an old suit jacket (moths got to the trousers). My issue has been that I find it hard to find one that doesn’t look very flimsy / thin. You mention you have a hopsack one – is this at all comfortable wearing in winter? I really associate hopsack with summer / spring. Hopsack is definitely more of a spring/summer fabric. 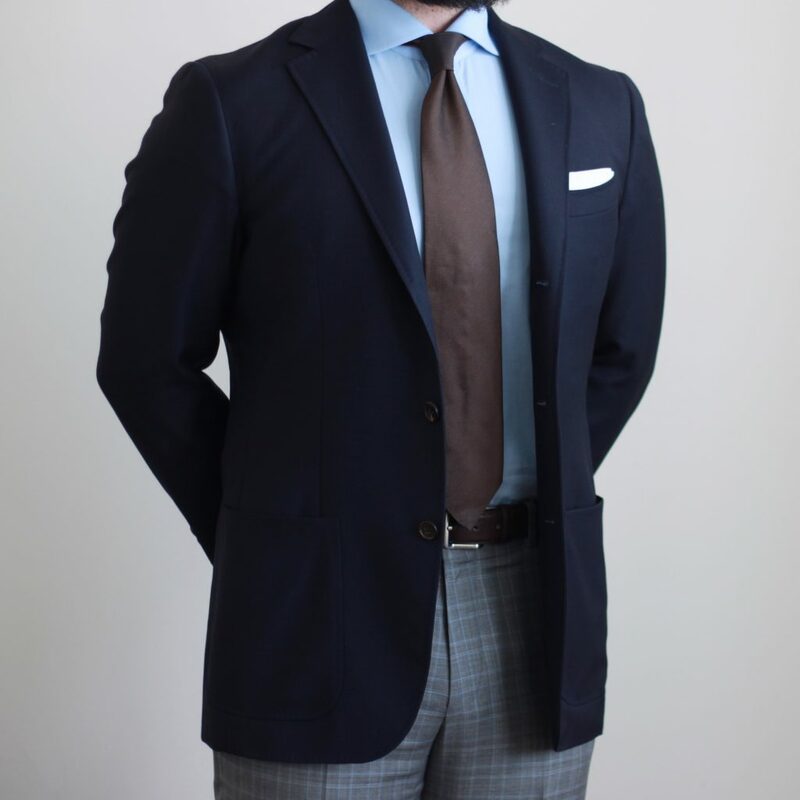 I wrote a bit about working to expand the seasonally appropriateness of my sport coat wardrobe here. I do wear my hopsack all year, since if it’s cold outside, the heat is probably on inside. 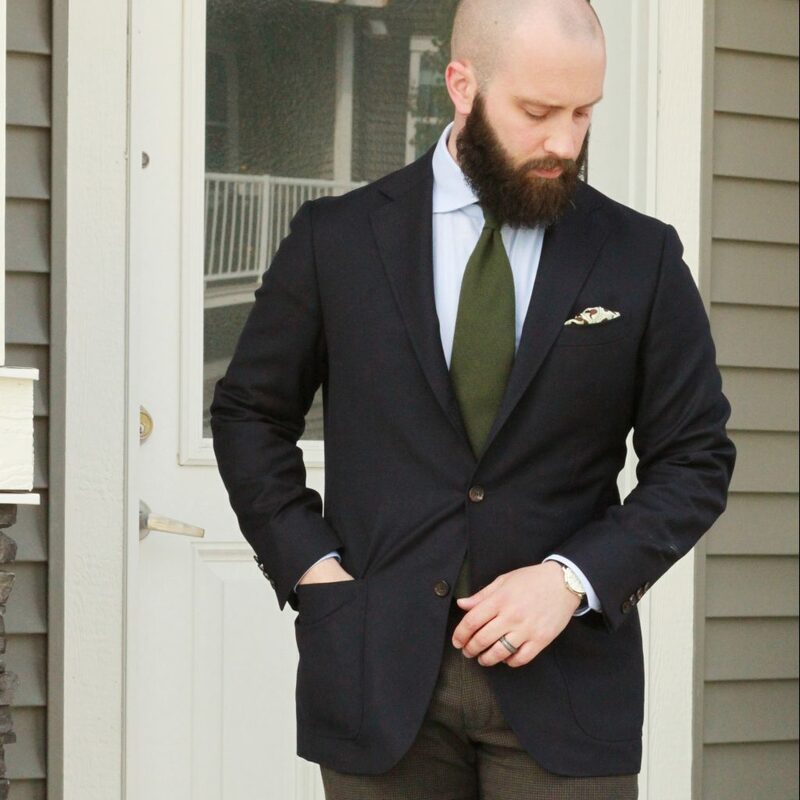 This past fall I picked up a navy moleskin sport coat – it’s a heavy, soft fabric that is perfect for colder temps. Having seasonal core pieces is something I’m planning towards now. 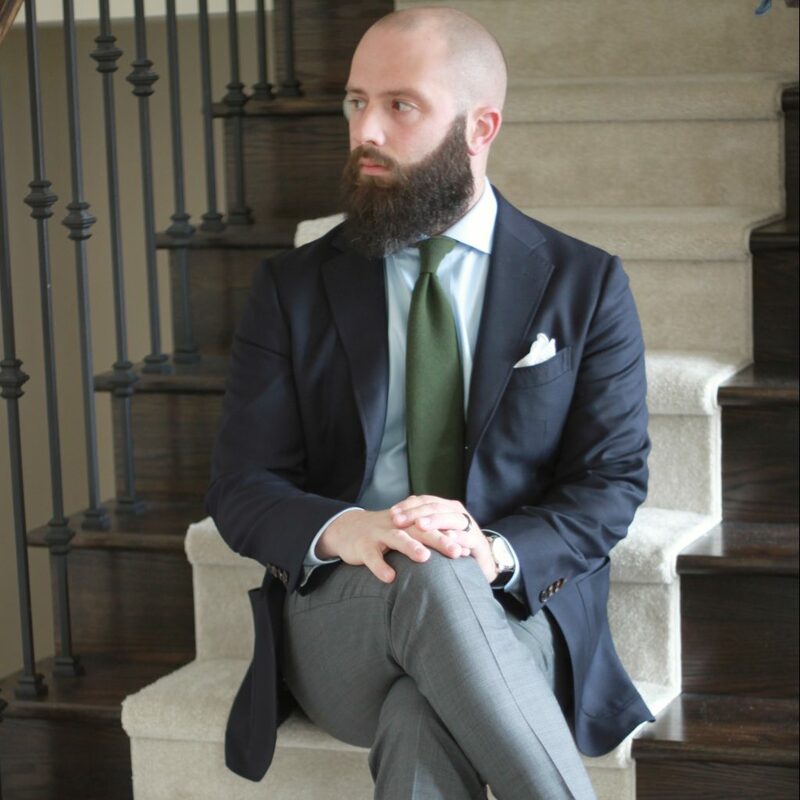 That being said, hopsack is pretty classic for a navy sport coat. If you were to get just one, that might be your best bet. If it is cold, feel free to layer with a cardigan or sweater. If it is warm, you have a light, breathable jacket. It’s all about balance, and maximizing the pieces in your wardrobe.